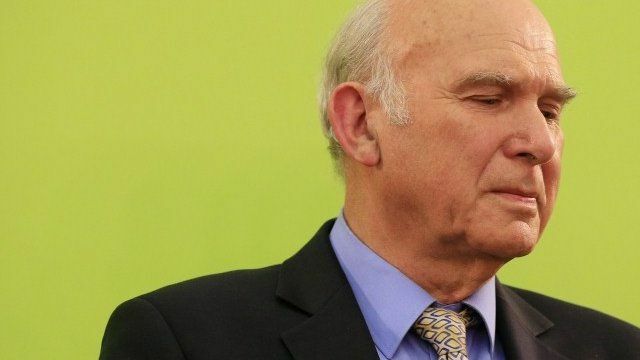 Vince Cable loses seat to Tories Jump to media player The Business Secretary, Vince Cable, loses his Twickenham seat to the Conservatives. Douglas Alexander loses seat to SNP Jump to media player Labour's Douglas Alexander loses his seat to SNP's Mhairi Black, a 20-year-old politics student at Glasgow University. Scottish Labour leader Murphy loses seat Jump to media player Scottish Labour leader Jim Murphy loses his East Renfrewshire seat to the SNP but vows: "The fight back starts tomorrow." SNP gains 'could break swingometer' Jump to media player A huge number of votes for the Scottish Nationalists over Labour leads to some historic voting swings in formerly solid Labour constituencies. 'I'll eat my hat if polls are right' Jump to media player Former Liberal Democrat leader Paddy Ashdown has said he will "publicly eat his hat" if predictions the party will lose 47 seats are correct. 'The Scottish lion has roared' Jump to media player Former SNP leader Alex Salmond wins the Gordon constituency from the Liberal Democrats to take the Westminster seat. He lost to Tania Mathias who said Cable had been "an amazing MP who had served Twickenham for 18 years".